Special Thank you to Heather Hill from The Mix for this awesome info. 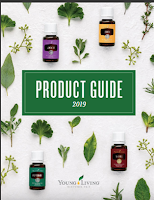 If you are interested in any of the oils listed below, let us know through the contact form to the right. Here is Heather's excellent info on oils for our emotions. As a rule, I do not enjoy cleaning, 😉 but there is just something about spring cleaning that I love. It’s such a great feeling after all the clutter is cleared out and everything is fresh and new. As you are clearing out the clutter from your drawers and closets, take a little time for your heart and soul too! 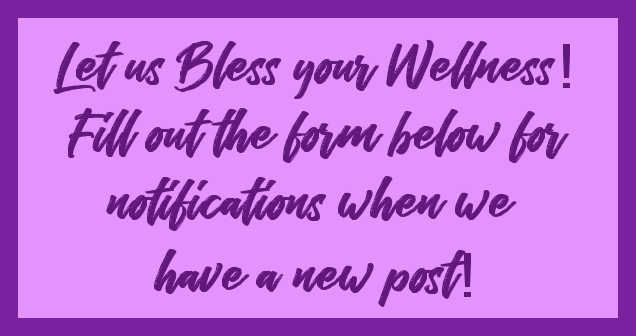 Let’s grab a few oils and clear out the emotional clutter that weighs us down. Three oils that I commonly hear people say they really do not like are Fennel, Clove and Oregano. Let’s see how we can do some emotional spring cleaning with these oils! Fennel has a sweet and spicy scent. Known as the Oil of Responsibility, it promotes confidence and courage, and helps balance emotions. If you need to clear out self-doubt, low self-esteem, or lack of motivation, use Fennel to uplift your spirit and support feelings of courage to look at the part of yourself that lacks love. Those suffering from negative self-image or victim mentality may also benefit from this oil. If you are challenged by weight fluctuations, rooted in feelings of being unworthy of love, it’s time to get your Fennel Vitality out, take a drop under the tongue or at the roof of your mouth and enjoy its sweetness to curb the cravings caused by an emotional attachment to eating. Fennel encourages you to live in integrity with yourself despite the judgment of others. Try a night time diffuser blend of 3 drops each of Fennel, Basil, Rosemary and Peppermint to promote a good night’s sleep. Oregano is the Oil of Humility and Non-attachment. An emotional cleanser, it is also physically cleansing and purifying. If you need to clear out negative emotions, you need Oregano. Oregano releases the fear of completion and thoughts of vulnerability, removes emotional blocks, clears negativity and cuts away negative attachments. Spring cleaning at its best! Oregano encourages feelings of humility and may help a person to release the need to be right, diminishing harmful forms of pride, let go of unhelpful opinions (or the need to share them in unhelpful ways), and to learn not to cling tightly to the non-permanent. Those who have a need to be “right” all the time or always attempt to convert other people to their fixed opinions can make good use of Oregano. Their strong will makes them closed off to change and unwilling to budge. Oregano can help you break through a strong will. Oregano supports letting go of rigidity, willfulness, negative attachments and materialism. Make a roller bottle with Oregano, Basil, Rosemary and Thyme to apply to the bottoms of your feet each night. Clove is hot and spicy and when used aromatically, supports mental clarity involving boundaries. Energetically, mentally, and emotionally, Clove encourages feelings of empowerment and courage to break patterns of being victimized. Clove may also help a person struggling with codependency, or those who find themselves too dominating or crossing the boundaries of others by also learning to stand independent of others. Are you a pushover? Clove will give you the courage to say “NO”. Clove can help you reflect on the causes of our self-sabotaging behaviors and assists us in releasing them because they no longer serve us. Clove blends well with Cinnamon and Orange essential oils. These three oils in the diffuser are divine! 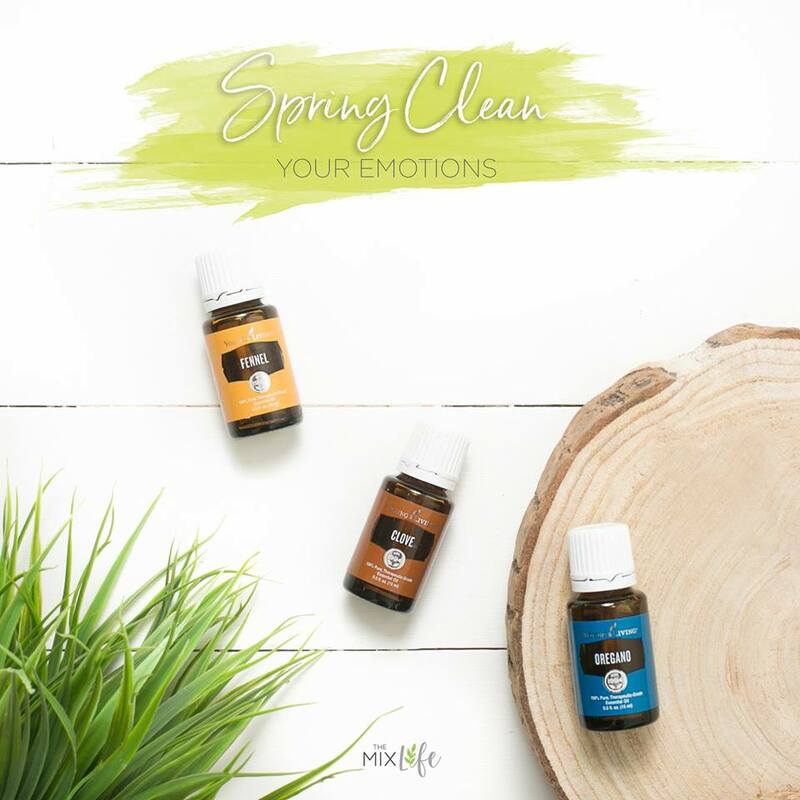 Share in the comments which oil will you use to spring clean your emotions?